Vendors, help your property stand out from the crowd and look more attractive to potential buyers with a Certify Legal report from Tinsa – Spain’s leading appraisal company. Tinsa have created a new due diligence report with foreign vendors in mind. Called Certify Legal, the service is offered in English and can give vendors an edge over others trying to sell their homes in this competitive market. 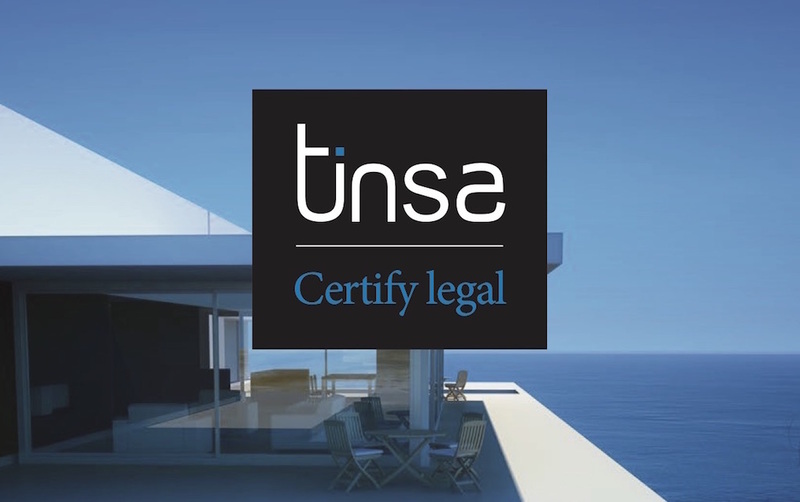 Certify Legal is a residential property due diligence report by Tinsa that increases the confidence of potential buyers by providing them with the necessary information to avoid charges or unforeseen problems that might not be obvious to the untrained eye. The report lays out the circumstances of the property being sold from a planning, building, and energy-efficiency perspective, making it easier for conveyancing lawyers of both buyers and vendors to focus on the legal side of the transaction and speed things up. Vendors who offer their properties for sale with a Certify Legal due diligence report help to differentiate their homes from others on the market, and increase their chances of attracting serious buyers and making a successful sale.